I’ve written before about the ever persistent, original hustlers of Phuket, the cab drivers. What I haven’t told you is that when they yell, “Where you go?” they actually need to know. Anyone who’s visited me in Thailand can attest that the second you get in a cab, it’s as if the driver is as new to the country as you are. If your desired destination isn’t a duty free outlet or Chinese run gold jewelry store, then its a complete mystery to them and you’re unlikely to get there anytime soon, and certainly not without stopping at the duty free first. You may be thinking, wait..isn’t it their job to drive around the island to well known tourist locations all day, every day?…..yes, yes it is. I’ve tried to find loopholes around what I thought was a language barrier by brining the address and directions in Thai, maps, putting them on the phone for turn by turn directions in Thai. Doesn’t help. They fain understanding of your destination to get you into the cab “Ahhh yes, ok, ok I know” yet five minutes later we’re pulled over on the side of the road meeting the guy’s cousin to discuss where this mysterious “airport” might be hiding. It doesn’t matter how many well know landmarks you throw at them or how many times they must have visited this destination before. Their mental capacity for directions is like an etch-e-sketch board. As soon as they reach a destination, they shake it off and start from scratch. There is a beach in Phuket? Must be new. Even knowing where you’re going isn’t a sure thing as I discovered on what I thought would be a straightforward cab ride home from the Phuket airport one evening. 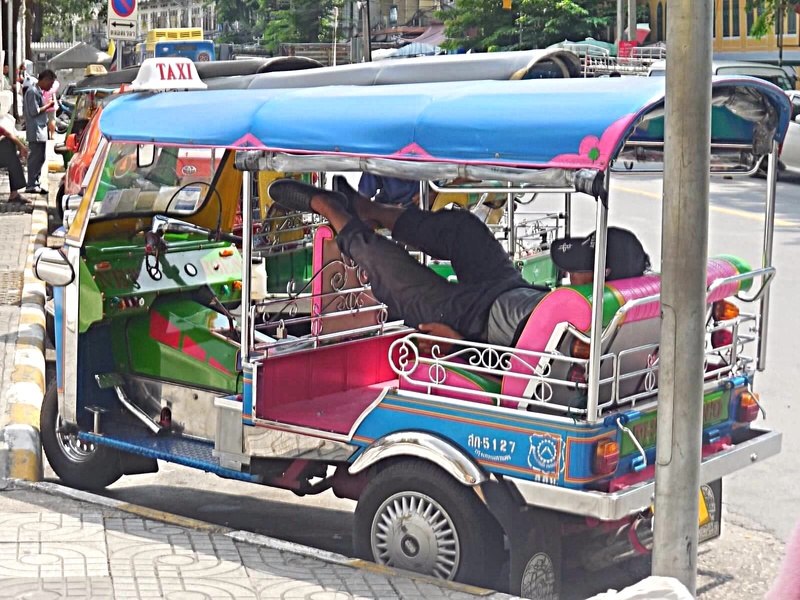 Despite heavy insistence from the driver that he was familiar with and in fact lives in Phuket Town, 5 minutes into the drive he started to change his tune. He suggests several hotels near the airport I might like to go to instead. 1. There is one road out of the airport. One. 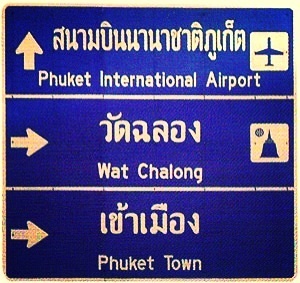 Go left and you’ll be leaving the island, go right and its straight on til midnight to the center of Phuket Town. If he’s purely guessing he’s still got a 50/50 shot of accidentally getting to my house. 2. I’ve given him a copy of my utility bill, in Thai that has my full address, district, subdivision etc. 3. I’ve given him verbal directions in (albeit broken) Thai that he claims to have understood prior to me getting in the cab. 4. None of this is necessary because…oh yeah, I KNOW HOW TO GET THERE. This solid base of information does nothing to the alleviate the drivers growing concern over reaching the destination and he continues to try and negotiate a change in plans. Flustered by my refusal to just give up and stay in a hotel, he gets on the phone and calls several relatives until one answers, then passes me the phone. Not go to hotel, go to house in Phuket Town. The driver is still displeased with this answer and starts yelling into the phone “Mai dai, Mai chai” (cannot, not correct) and hangs up. I have no idea where we stand at this point, but a few minutes later he pulls off the highway; not a good sign of understanding the directions. We arrive in the driveway of a house that’s not mine. The driver turns off the car, says nothing to me and gets on the phone. This is one of those times when you start to think……so this is it. This is my last day on earth. It’s raining of course, no other backdrop would be suitable for an ill fated, 2am foreign excursion. 10 years out of date, misleading hair color and weight….someone save this, it’s just the kind of depiction they’ll be looking for. Side-note, the driver and I have not been alone on this journey. There has been a heavily pregnant woman and a foul smelling dog occupying the passenger seat the entire time. Neither has moved or been acknowledged. Soon a shirtless man with an Angry Birds umbrella come up and knocks on my window. Ok, but I know how to go to Phuket Town. He turns his attention back to the driver and more yelling ensues. I tune them out and stare blankly at the lady and dog who are also numb to the situation. I bet they were like me once…..just trying to get home. They rode around so long that they became resigned to the idea of home and took up residence in the front seat of this gold 90s Buick. What a life. I made it home eventually thanks to a nice man named Joe who was sympathetic to the struggle I’d just endured and assured me I would never have to call a taxi in Phuket again only, “call Joe, tell Joe where you go, and Joe GO!” Thus we agreed upon a new rule for Thai taxi travel, “Joe no go, I no go”, and I haven’t. Susie sent me over from her party… but I may never leave. Your posts are hilarious. Did Joe actually make it to your house? Do you have him on speed dial? Thanks Barb, I read several of yours as well! Yes I do have Joe on speed dial. He has now met most of my friends and family, helped me shop for furniture, and rescued me from a minor natural disaster. Way better than AAA! Now that’s what I call a Wild Ride! It would be so scary to be at the hands of an inept taxi driver. I have been in crazy places, but somehow we could always communicate. Did he keep the meter running?? Thanks for coming and bringing this to the party! 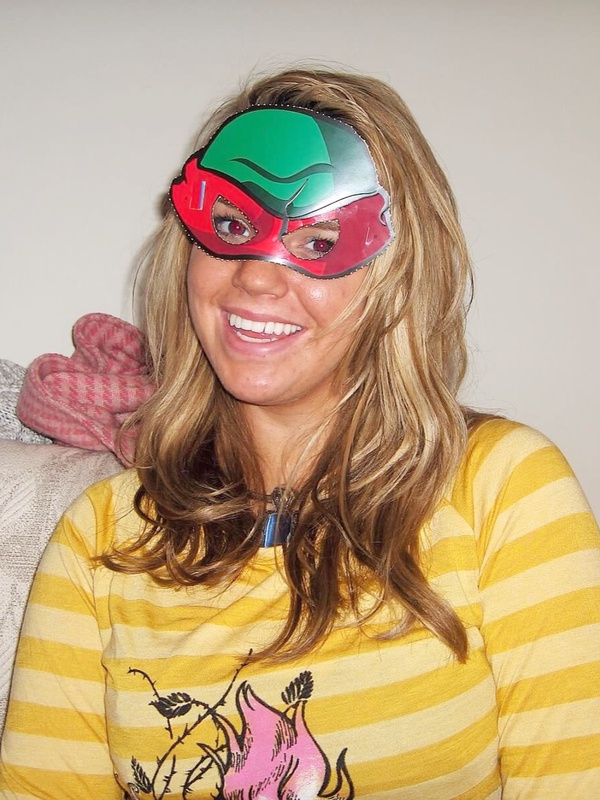 Have fun clicking on links and meeting the other guests! Tell them, “Susie sent me,” and they should click back to your place! Wild ride in deed! I didn’t have to pay him thankfully, Joe took the full enchilada on that round. Lots of good posts this month, thanks for hosting! Thank God for Joe. I thought he was already our go to man. Why were we using anyone else in the first place?